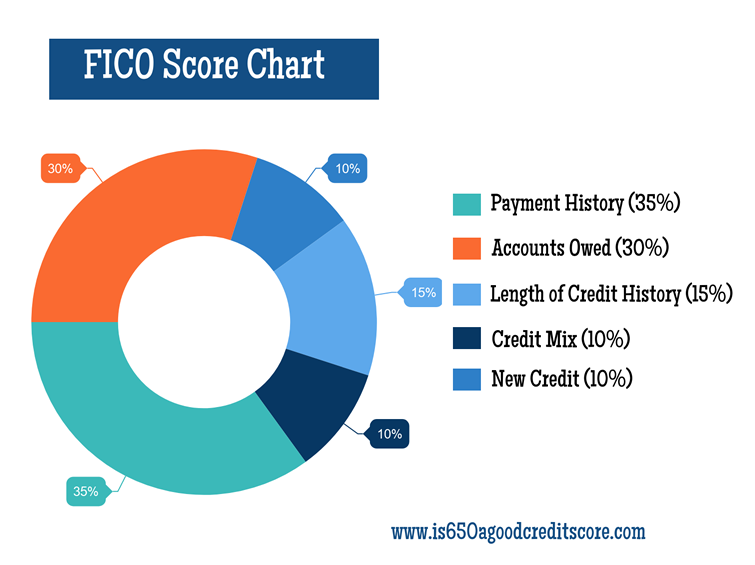 A credit score chart is a good way of learning how FICO scores are determined and which factors weigh heavily on their rankings. Accounts Owed: Refers to how much debt you’re carrying. Lenders prefer those with a low debt-to-income ratio. It’s best not to carry balances over 30% of the max credit you have available to you. New Credit: Applying for new credit often can be a negative factor on your score. Length of Credit History: The longer your credit history (timely payments, low balances), the higher your score. Credit Mix: Having a mixture of loans and lines of credit (auto, mortgage, etc) shows you can handle debt as long as you keep up with payments. Payment History: If you’ve missed payments, they want to know how much and how often. In addition to this chart, every so often FICO will publish a credit score chart that reveals new trends with consumer scores. Below you’ll find content that contain a specific credit score chart that depicts certain aspects of data they’ve collected.